Product code: W1185 Categories: Sold Items, Sold Watches. Perfect for any house or office, this antique repeater carriage clock by Couaillet and retailed by James Crichton & Co Edinburgh dates from the 1890’s and will always be admired no matter which room it is in. 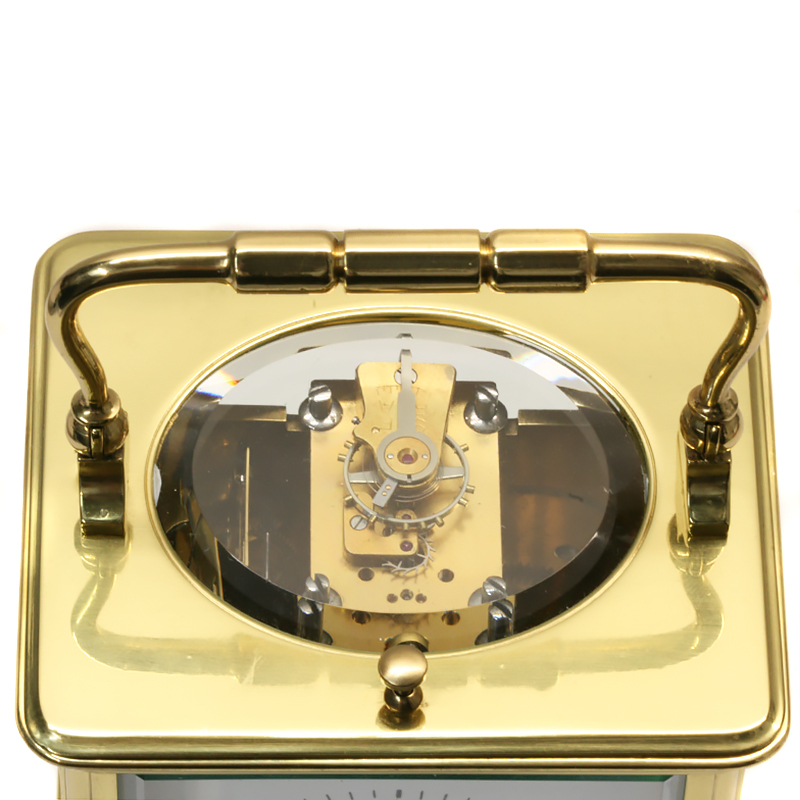 A repeater carriage clock is one that strikes the hour when you wish by pressing the button on the top. And not only will it chime on command, but it will also strike the hours and half hour as well resulting in a lovely soft “ping” that will be heard and loved. The white enamel dial is all original and displays traditional Roman numerals and is signed “James Crichton & Co Edinburgh. Made in France“. This British watch and clock making company started in the late 1800’s and would have imported this clock from France and put their name on the dial. 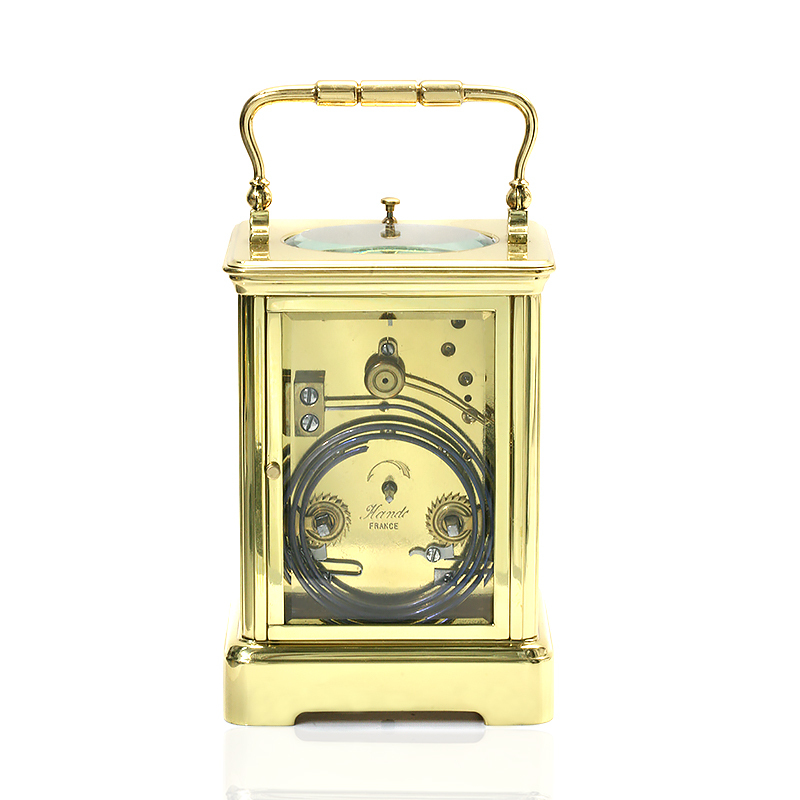 The movement was made by the esteemed company Couaillet which started in the 1890’s and produced very high end carriage clocks such as this one here. This carriage clock has been extensively restored and is in amazing condition and comes with our twelve month warranty. Measuring 17cm with the handle up or 13.5cm to the top of the clock by 9.5cm wide and 8cm deep, this is perfect for any room in the house or office and is destined to always be admired and commented on.